It is safe to say that I really wasn't expecting to enjoy Tempest as much as I did. I thought that my rating would probably be a four so when I rated it 5 stars once I'd finished it I was very happy. I didn't know a lot about the plot, but the little information I did know intrigued me. Jackson has a secret: he is a time traveler. I haven't actually read any books about time travel before and so I was a little apprehensive, but I actually found the concept interesting and thrilling. We first meet Jackson in 2009 where he likes to carry out time-traveling experiments with his friend, Adam. There is also the small issue of his girlfriend, Holly, who doesn't know about his gift.As an exciting character, I enjoyed reading the novel from Jackson's point of view. I don't know what I expected, but I really didn't think it would be told from his view. I realise that this was a bit stupid of me as it really couldn't have been written in anyone else's. Throughout the novel, Jackson really transformed and even though I liked him from the first page, I loved him at the end. He was so calm and focused and was admirable for that reason. I wouldn't act like that if I was in that situation! Holly was a generally sweet character who I enjoyed learning about. The thing I most liked about her was her maturity and ability to stay cool in difficult situations (she was definitely in a few!). 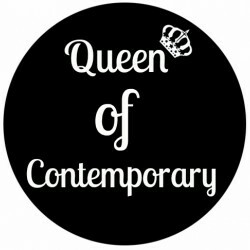 What set her apart from other YA characters was the fact that she was natural. 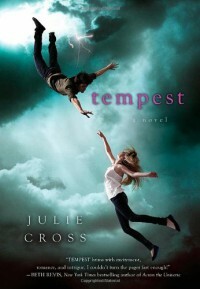 Some authors make their characters perfect in every way but the characters in Tempest were true to real life. Adam was likable and, although not one of the main characters, he felt just as important as Jackson and Holly, and also had his own role. This novel kept me constantly on my toes, anticipating the plot line and it made me think: Is being normal so bad? Would I really want the pressure that Jackson had?I really can't wait to read Vortex as the ending of Tempest left me shocked. Why are authors so cruel to us?! How am I going to cope now, not knowing what happens? !